Come and experience the bliss of SUPYoga! By moving our body in Yoga we have the opportunity to connect with the heart of who we are. When we do this on the Ocean, there is an enhanced opportunity to feel connection with the world around us. As we become more aware of our own inability to be ‘in control’ we may even find great pleasure in laughing at ourselves as we try to find our centre on the board. 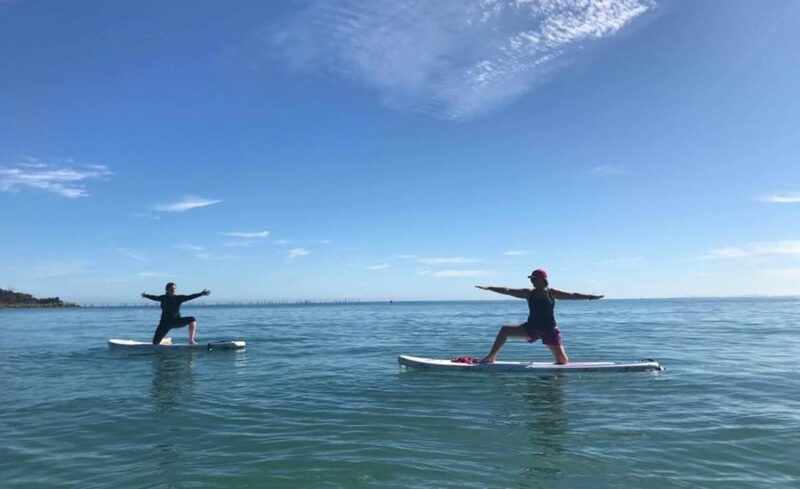 Beginners to Yoga and to Stand Up Paddle are more than welcome! Ability to swim 50 metres is a pre-requisite for participation in SUPYoga. Keep an eye on our facebook page for future classes! Questions? Contact jen for more information!